Today we’re excited to reveal our partnership with Firecast Studio on their exciting upcoming title, Sword Legacy: Omen. 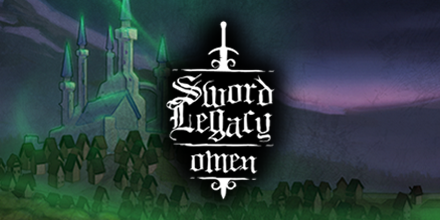 In our first adventure into South America we’ve partnered up with Brazil-based independent developers Firecast Studio and Fableware Narrative Design to publish Sword Legacy: Omen, a challenging turn-based tactical RPG with a dark, cartoon-inspired aesthetic. Sword Legacy: Omen is set in the candlepunk realm of Broken Britannia, a once-thriving kingdom full of alchemical and technological advances now fragmented by intrigue and deceit. As the vengeful knight, Uther, and his misfit band of companions, players will embark on a thrilling journey to locate the long-lost Excalibur. In this bloody, brutal take on the Arthurian legend, players will explore rich environments, experience a riveting storyline and survive intense turn-based tactical combat to define the fate of Britannia. Aven Colony – Re-engineered for consoles! The Escapists 2 Launches August 22nd!